General Motors is resurrecting the Chevrolet Trailblazer and Chevrolet Tracker nameplates for the Chinese market. The company introduced the two small crossovers on Tuesday at the Shanghai auto show. The vehicles are not expected to be imported from China to the U.S. A Chevrolet spokeswoman was not immediately available to comment. Other than their names, the vehicles appear to share little to no DNA with their predecessors sold in the U.S., which GM discontinued in the 2000s. 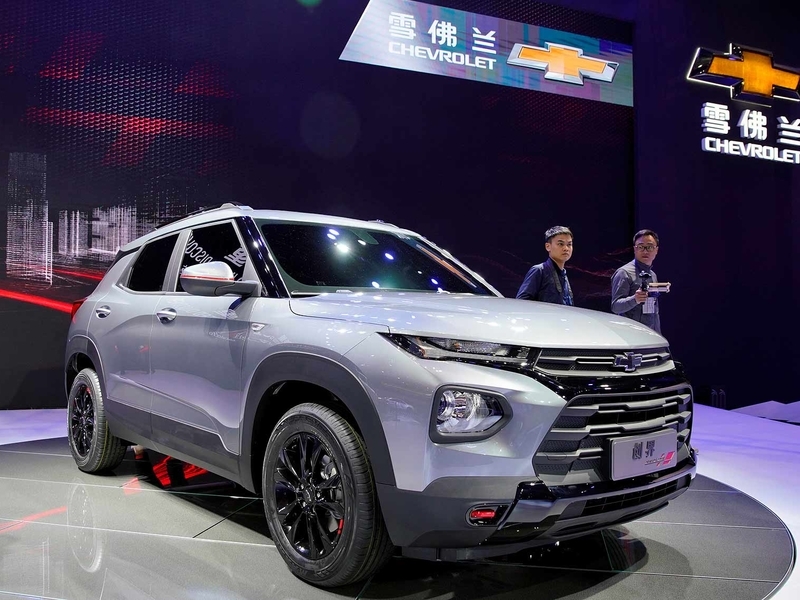 The Trailblazer for China, according to GM, is a compact crossover inspired by the Chevrolet FNR-CarryAll concept, which debuted at the 2018 Guangzhou auto show as the new design language for the brand. In the U.S., the new styling is most notable on the midsize Chevrolet Blazer crossover that went on sale this year. The Tracker, GM says, will be the brand’s new small entry-level crossover for China. It’s unclear if it will replace the Chevrolet 330T, China’s version of the Chevrolet Trax that the Tracker heavily resembles. GM spokespeople in China were not immediately available for comment. For the U.S., GM last produced the Tracker, which was badged under several brands, after the 2004 model year. The Trailblazer was last produced for the 2009 model year.